WAXMORE is a brand stablished in December 2016 in Florence with the aim of bringing color and uniqueness to everyday life and work. We ideate, create and realize lifestyle clothing and a collection of professional uniforms for healthcare workers and chefs, combining Italian fabrics with African cotton wax prints. In November 2017 we inaugurated our laboratory and showroom in Florence: a place of craftsmanship where creation and sales take place in the same space. WAXMORE isn’t just a brand but also an innovative project of Corporate Social Responsibility that involves training asylum seekers to get a job in fashion, sewing and cutting. 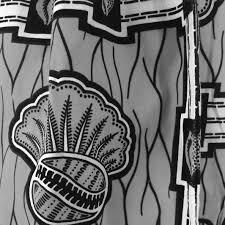 The company mixes solid fabrics and African wax to give a concrete idea of ​​metissage, mixture of fabrics, colors, ideas and stories. Even our garments are sewn by several hands: those of the expert tailors and those of the apprentice asylum seekers. The differences are transformed into creative resources, just like you do at TSH.